...And Next Week's Speakers are... Marcus Harris who will speak on the topic "TED"
Club members enjoyed a wonderful Changeover Dinner last Sunday at Hillarys Yacht Club. We were fortunate that nearly all members could attend and we accepted with regret apologies from only Harry Nesbitt & Betty, Barrie Heald & Cath and Chris Ford & Julie. Immediate Past President Laurie was thanked and farewelled with an hilarious and insightful roast from Master Roaster Geoff Ross- a "Smartypants" quiz! Needless to say, Laurie got all (I think) of the semi-serious questions right, and none of the comical ones! Share the benefits of Rotary with 5 new members- networking & service. 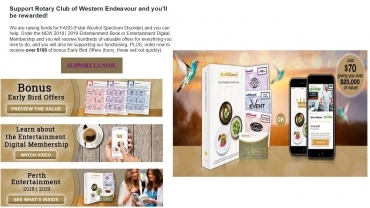 Meet the expectations of membership of our members. Follow through on Visioning and Strategic Plan . Maintain partnerships with our projects (Balga SHS, Perth Motorplex, EarlyAct at Rosalie PS, Shenton College). Continue working with other Rotary Clubs in our Zone. Continue to support local programs like RYPEN, NYSF, YO!FEST, Dismantle, FASD, Aboriginal Working Group etc. Help Byron with his succession plan. If you would like more information follow the link. 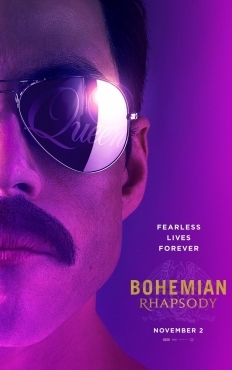 This is a Rotary fundraiser screening of Bohemian Rhapsody to raise funds to End Polio Now. The film is a foot-stomping celebration of Queen, their music and their extraordinary lead singer Freddie Mercury. Freddie defied stereotypes and shattered convention to become one of the most beloved entertainers on the planet. When you fill out your details for the booking, please indicate which club you are from/support so that we can attribute the fundraising credits to each club. All funds raised go to the End Polio Now campaign. Annual General Meeting... The Annual General Meeting of The Rotary Club of Western Endeavour will be held on Tuesday the 11th December at the Leederville Sporting Club commencing at 0715. All Members are requested to attend. An agenda will be sent to you by email.